I am very concerned about the increase in ADHD diagnoses, which in a lot of cases seems to be caused by either a food intolerance or just poor diet in general. I also see a lot of Rilatin use, which worries me a whole lot, knowing that some or even most of them would be better off with a food intolerance test or dietary changes in general. I have seen some rumours and some clinical trials about paleo and paleo-type diets (including SCD and GAPS) being used to treat mental 'disorders' such as autism and ADHD. I was wondering whether anyone here has any personal experience has seen someone with such a mental disorder (yourself, your wife, your son, your friend, whoever,...) and improved, most likely because of dietary changes in any form (it's hard to say it's 100% sure because of it; there's always a risk for placebo effects or other factors, but you get the point). So I'm not particularly looking for clinical trials or suggestions (although these are welcome too, of course), but more about personal experiences. Well, provided someone has a digestive problem, and they have leaky gut, yes what you say can be true. In which case, SCD, fodmap, MAPS and other strategies like digestive enzymes, glutamine supplementation and avoiding anti-nutrient foods/food allergies etc, may be worth intergrating into your paleo diet. But it depends on whether these issues are the primary cause or not. Glad you are empowered at such a young age to manage your health!! Keep it up! Thanks for the suggestions. I've just looked at it for a while and it seems to be what I'm looking for. Thanks! And I am not sure dopamine or noradrenaline has all that much to do with attention. Possibly motivation, arousal, stress and related effects, but I doubt someone on ampetamines (which boost DA and NA) really has better concentration, they are just more amped.. Slight mix of terms. I mean acetylcholine, the NT, for which choline is a precursor...AC is one of the main neurotransmitters for attention, conciousness and memory. When its decreased, as in datura, one becomes forgetful, vague and sometimes unconcious. When its increased as in betel nut, or tobacco, or choline supplements memory recall, focus etc is boosted. Choline is the main focus of nootropics supplementation.. I don't think he's actually reading the posts, just responding with hostility. Did you read the whole post? BoneBrothFast mentions GAPS and SCD which are both holistic dietary approaches to treating mental disorders. Nobody's talking about black-box meds, here. BoneBrothFast wrote: "Paleo won't treat any serious psychological disorders." You don't know what you are talking about. Conventional psychiatrists won't treat any serious psychological disorders, other than to mask the symptoms. Read Emily Deans and stop thinking and acting like you actually know something. "medical conditions" means that we are not allowed to think about it critically and should not try to fix the problem and we should kowtow to the medical gods. Notice however that the medical gods have absolutely not clue how to fix the problem other than to use un-paleo and unfoods to drug the patient unto death. Read Emily Deans and learn. ADHD is not a "psychological" disorder, its a neurological disorder. Perhaps I am misunderstanding here Jamie - You stated "because thats the attentional neurotransmitter." What are you referring to? Choline? Choline is not a n.transmitter. Several nts are responsible for attention, notably dopamine and norepinephrine. BTW, when I wrote that, there was a different "comment above". Besides the question what causes it, you could also wonder whether kids are made to sit still for so long. We have given the term 'ADHD' to those who cannot sit still and concentrate. There should be a distinction between what is socially intrusive (according to our norms) and a psychiatric disorder, but it seems that modern medicine is artificially getting rid of that utterly important distinction. As a teacher, I have seen the levels of ADHD skyrocketed in kids. Some of them just cannot sit still for longer than 2 minutes! Crazy! @Jamie Nobody is disagreeing that psychological stuff is related to nutrition. I'm saying that Paleo is not geared towards fixing those issues though because psychological disorders are made worse by reabsorption of certain undigested compounds in food - even healthy food. The Paleo Diet is not equipped to deal with these symptoms, but I don't doubt that healthy-but-difficult-to-digest-food will still have some benefit. Not all paleo foods are easily digested. (vegetables, nuts, seeds, tubers, etc.) If you're primal and including dairy, that's another offending food right there. The studies on choline supplementation and bi-polar would disagree with your above statement bone broth fast...Theres good evidence to suggest think at least some psychological and psychiatric disorders may be intimately connected to nutritional deficiencies. This will help in my quest to troll vegans in real life. God, the stuff on the schizophrenia and bipolar is pretty crazy- I have several family members with schizophrenia, one of them with childhood schizophrenia, and it just blows my mind if it is related to wheat...many of them have done fairly horrible things, several are in permanent psychiatric wards for criminal offenses, and watching these studies progress it just seems so wild that it's diet related. Totally plausible, its just crazy that it could have such huge effects, you know. I have no personal goal, I'm just interested in what it can and cannot do. I asked this question because there are definitely similarities between SCD, GAPS and Paleo and because a lot of people here seem to have some knowledge of these others diets too. a food intolerance "test". What is that? There is a difference between psychological disorders and psychiatric disorders. Psychiatric disorders are medical conditions. Many medical conditions can be improved greatly with the use of paleo diets and diets like GAPS. Thus, one can reason that psychiatric conditions, too, can benefit from such diets. There is a lot of evidence that certain psychiatric disorders (most notably bipolar disorder and schizophrenia) are linked to wheat. Dr. Deans discusses all of these issues on her blog, and focuses on the science that backs them up; she does not spout dogma, she is a scientist. Through experience and extensive research, I believe that I am genetically vulnerable to this condition, but that the severe symptoms that I experienced were precipitated by gluten consumption. I would be happy to share more about my experiences if you have any more questions. I read her for weeks. She is absolutely adorable and brilliant and sweet and funny. However, she is a psychiatrist, and I mean that in the best possible way. She is gung-ho paleo, and I repeat that she is brilliant and adorable. 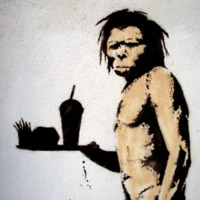 Paleo-style eating helped my depression for sure. I wouldn't even say that I have it anymore. Last winter was the first one I had where I wasn't Seasonally Affected. I think lots of antibiotics can be a factor in these disorders as well as a processed diet; that's definitely what made me feel like GAPS could apply to me. Bipolar has been linked to low choline levels (choline is found in eggs and meat). Schizophrenia has been linked to altered glutamate levels. In that sense, psychiatric disorders may be treatable with diet alone. At minimum, two decent studies have found choline supplementation as effective as anti-psychotics for bipolar. Its hard to know what might be out with ADHD. It would seem common sense that more choline in the diet would help, because thats the attentional neurotransmitter. Which would happen naturally with a diet high in meat, and low in carbs (ie paleo). I've only been eating Paleo for about 6-8 weeks now and it's AMAZING the difference it has made to my neurochemistry. I no longer cycle between clouded lethargy and spaztic episodes. On some days I don't take any Ritalin at all, but I still feel the need for 1/4 dose once or twice most days, though with each passing week I get better at Paleo and the effects set in. I am now planning to experiment with ketogenisis and/or the GAPS protocol (or SCD) to see how that affects things. I'm currently taking a week course of powerful antibiotics prescribed in the wake of major oral surgery so perhaps after the antibiotics, I'll dive into GAPS/SCD, or at least try my own version of it. I'd hate to give up potatoes! It sure would be nice to solve the ADHD once and for all after a lifetime (well, 20+ years) of medication. I feel so close! It's exhilarating! I am on the second month of GAPS. The first month was spent on the GAPS Intro diet, which is a strict diet to jump start the healing and sealing of the gut. The Intro diet is also quite detoxifying. I do not have a mental or emotional disorder, most likely because I have been treated under the care of a classical homeopath for over a decade. I am relatively normal, albeit with food intolerances and digestive issues. Dyslexia, anxiety, and gut dysbiosis runs rampant in my family, however. I notice on GAPS that my mind and emotions are much, much calmer and a new sense of peace and contentment that is not related to outward circumstances. I get less overwhelmed and fatigued. Since starting GAPS, I have experienced episodes of recurrences of old nightmares and sleep talking. This indicates to me that my brain is detoxing as old symptoms are re-traced through my system. Indeed I have cycled through several episodes of physical, mental, and emotional detox/die-off since starting GAPS. Each time I re-emerge after an episode, I feel better. The other benefit is that the bad breath and body odor is gone. At the start of GAPS it got worse for a while, and then slowly went away. My sweetie has a very sensitive nose and he is no longer concerned whether I have brushed my teeth or not. Even though I have only recently started GAPS, I feel that it is working for me on very deep levels. I ate a clean paleo diet for four months prior to GAPS. I do feel that the paleo/primal diet was helpful in preparing my body for GAPS. The paleo/primal diet helped me recover quite quickly from fatigue and endocrine imbalances. And then I noticed that the bloating and food intolerances were starting to creep back. In particular, I developed pain after eating egg whites, and eggs were a breakfast staple for me. The GAPS diet is designed to heal and soothe the gut so that food intolerances subside. I still cannot eat egg whites after two months on GAPS, nor dairy. I haven't even tried any other offending foods; it is way too early in the process. GAPS has been lots of work (and a little more costly) and I have had to alter my lifestyle to accomodate for it. Yet the resulting peace and contentment is worth it. I've always wondered about this because personally I have found benefit in following a paleo diet! Time to chime in :) When I was 3 I was diagnosed with tourette syndrome, it was horrible. I could hardly hold a fork or spoon without spilling food all over my self. My mother visited a Doctor and he told my mother I would never make any friends, always be the odd child and would need to be hooked on medicine for the rest of my life.. As I got older my condition worsened. I would spout out noises, make " weird " faces at people and sometimes strike myself repetitively in the chest without being able to control it. Around 13 years old my mom and Doc hooked me on a pill called risperdal. I gained 30 + pounds. Lost all motivation, was sluggish and I was so " out of it " my family didn't even recognize me. My mom and dad took me to a naturopathic doctor and I got hooked on a " natural " diet. I was not eating processed white carbs anymore, no trans-fats or dairy, but I was still eating gluten, lots of " whole grains " and lean meats. Oh, I was also avoiding any artificial flavors and food coloring. My condition slightly improved, I got off the meds, lost weight and felt better, I still felt I could improve personally. Right now, at the age of 16 I control my symptoms following a clean paleo diet. I can concentrate, my ticks are much less frequent and I just feel overall more healthy. Whenever my friends visit or I have a " cheat meal " I can definitely notice my symptoms coming back with a vengeance, and so can my family. All I can say is paleo has helped me! BTW, the few times I have been in deep ketosis I seemed to have little to no symptoms. Maybe the ketosis helps my brain to function at a more optimal level, just personal speculation. I started the Paleo way of eating and noticed a change when I stopped my thyroid meds because my prescription ran out - and didn't immediately fall down a black hole of symptoms. Since then I went on Dr. K's autoimmune protocol which eliminates many other things, like nightshades. I have Hashimoto's thyroiditis (autoimmune) and ADHD. I have definitely noticed a change in my symptoms but mostly from removing foods that trigger a reaction, like others have said. Wheat is a big one and the nightshades also seem to be problematic. I can have a few Smirnoff coolers occasionally without problems and I am going to try adding back nuts next. Prior to this I was terribly 'fog-brained' on certain days to the point where I would veg in front of the TV or computer screen but not really be engaged with anything. I was tired, slept way too long and was not active some nights until after 4-5pm. Now I still get distracted and have some other issues, but my fog brain only came back with a vengeance once I tried putting certain foods back in my diet. That was enough to keep me from doing it, again! Paleo won't treat any serious psychological disorders. It might improve symptoms thought. If your goal is to treat some significant psychological disorder, don't look to Paleo - look to GAPS and SCD.